Oil on canvas. 97 X 83 cm. Inv. No 747 Signed and dated center left: Van Loo 1759 Ekaterina Golitsyna (1720—1761), sister of the Russian Classicist writer Antioch Kantemir, was lady-in-waiting to Empress Elizaveta Petrovna and wife of Prince Dmitry Golitsyn, Russian ambassador to Vienna and the founder of the Golitsyn Hospital in Moscow. The portrait of Princess Golitsyna is a companion piece to the portrait of her husband, Prince Dmitry Golitsyn, executed by Drouais the Younger (The Pushkin Museum of Fine Arts, Inv. No 894). 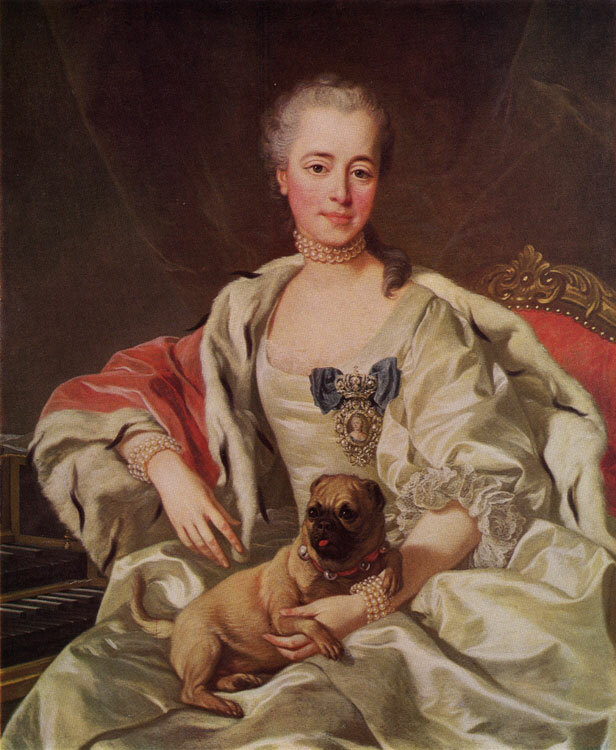 The picture was painted during Golitsyna's sojourn in Paris between 1757 and 1761. Engraved by P. Gaillard.